Welcome to our selection of female British Labrador Retrievers! 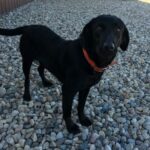 When it comes to finding a reliable hunting dog breeder in Minnesota, you can count on KT British Labs to offer high-quality canines that you can always depend on, and our female Labradors are no exception. We have a terrific selection of female dogs, and all of them are EIC, CNM, and PRA Clear. Our goal is to produce the purest British Labradors possible, and we have spent years perfecting this bloodline. If you would like to learn more about any of the female dogs we have available, click on their pages to view additional details. You can also fill out our simple contact form if you would like to ask a question about a specific dog. Simply give us your name, number, email address, and we’ll get back to you as quickly as possible. 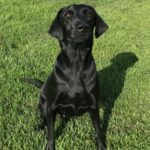 Browse our website to learn more about our female British Labs, including our puppies and the upcoming litters that we will have available. 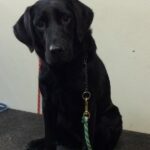 Feel free to contact the KT British Labs team today if you would like more details about our female dogs!